Trust your gut: If anyone hypes a diet to you, saying it’s beneficial because it’s somehow tailored to the makeup of your complex, prehistoric, and individual intestinal microbiome, just wink and walk off. You know better, right? ‘The right kind of diet may give the brain more of what it needs to avoid depression, or even to treat it once it’s begun.’ It’s a bold claim for which the story provides little in the way of compelling evidence. Experts we spoke to say the story goes way beyond the science in this emerging field. What’s the catch? This study involved only 67 people. How they improved their diets isn’t reported by the newspaper, other than to say half of the depressed research participants talked with a nutritionist. As for the “social support” component of this research, the Wall Street Journal says depressed subjects played cards or chatted with someone. A bad diet also affects our microbiome — the trillions of micro-organisms that live in our gut. They make molecules that can alter the production of serotonin, a neurotransmitter found in the brain, says Lisa Mosconi, a neuroscientist, nutritionist and associate director of the Alzheimer’s Prevention Clinic at Weill Cornell Medical College in New York. 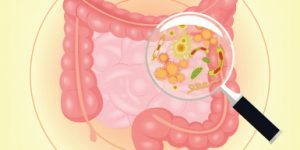 The good and bad bacteria in our gut have complex ways to communicate with our brain and change our mood, she says. We need to maximize the good bacteria and minimize the bad. That might be so. But the human microbiome is incredibly complex, and researchers are only beginning to understand its evolution over eons and how it affects our lives and well-being. An $8-million, year-long, carefully conducted study at Stanford University, with more than 600 test subjects, went a long way to debunking various diet-related hokum, including, as its researchers found, that little success by dieters could be attributed to their eating more carbohydrates or fats or basing nutrition on what we know now about individuals’ genetics. And while the human genome, after decades of hard work, has been mapped by medical scientists and is starting to show results in medical care, microbiome study is still on-going, and its outcomes are less certain. Which isn’t stopping the hype that ties genetics, the microbiome, and diet. What’s the takeaway here? In my practice, I see the major harms that patients suffer while seeking medical services and the damage inflicted on them by bad diet and weight woes. Obesity and bad eating are health banes for too many Americans, contributing to cancers, diabetes, heart diseases and more. How to stop eating sugar. U.S. News and World Report, which seems like it would rank everything, including six kids playing marbles on the playground, offers its interesting take on “best diets,” too. Take it with a grain of salt, but at least the publication provides its ranking criteria, which may be valuable. Don’t forget that, as I said in the firm’s newsletter at the year’s beginning, small steps could take you a big way to a healthier 2018.